Columbian Travel Mug. Shaped to fit into vehicle holders and comes with a non-spill lid. 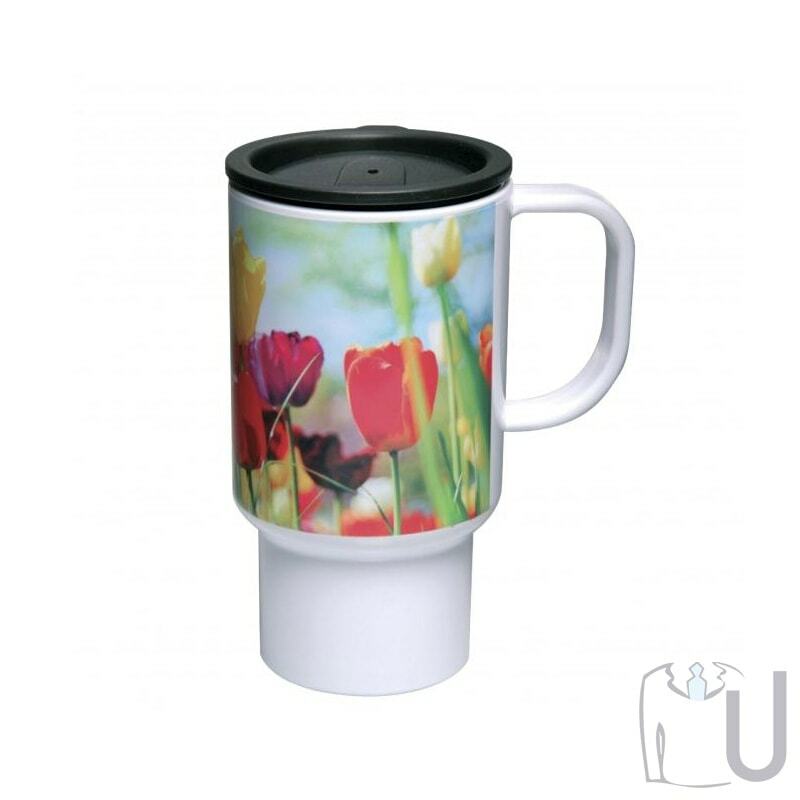 Lightweight and durable these plastic mugs are virtually unbreakable. This mug is not dishwasher safe. Hand washing only is recommended. Do not use in a microwave oven.